Please allow me to join previous speakers to congratulate you and the other members of the Bureau on your elections , express my confidence in your able chairmanshipÂ and assure you of our full support and cooperation during the deliberations of the Committee. 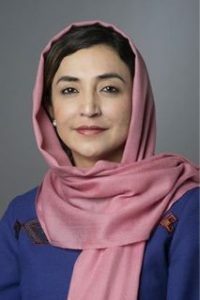 The delegation of Afghanistan wishes to align itself with the statement delivered yesterday by the Syrian Arab Republic on behalf of the Organization of the Islamic Conference (OIC) and the statement delivered by Iran on behalf of the Non-Aligned Movement (NAM). Given the importance we attach to our consideration of terrorism, my delegation would like to make a statement from our national perspective and highlight our views on some aspects of the Item under consideration. Terrorism constitutes a serious breach of international law, including international humanitarian and human rights law, and remains one of the most serious threats to international peace and security. There can never be justification for terrorist and extremist acts. In this regard, I would like to reaffirm Afghanistan’s strong commitment to fight against all acts of terrorism and extremism and condemn in the strongest terms all forms and manifestations thereof committed by whoever, against whomever and for whatever purposes. While the people and governmentÂ of Afghanistan with the support of theÂ international community are making significant progress towards stabilizing and rebuilding the countryÂ after 30 years of wars , foreign occupation and terrorist activities , terrorist and extremist groups in our region lead by the Taliban and Al Qaeda, which enjoy safe havens and institutional support beyond our borders, remainÂ the major destabilizing factor in their efforts to destroy our achievements, terrorize our population and deprive our people from the enjoyment of their socio – economic andÂ basic human rights and the hope of aÂ better andÂ prosperous future . Terrorist elements, including Al-Qaeda, the Taliban , extremists and other criminal groups are responsible for the death of thousands of innocent civilians in Afghanistan through their brutal acts, including beheadings, roadside bombings, suicide attacks, burning schools, attacking school girls, poisoning food and drinking water, destroying health care centers, clinics, hospitals, roads, and other criminal activities. Afghanistan continues to pay a heavy price for being on the front line in the war against terrorism. 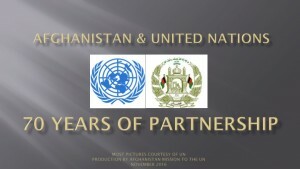 As an active partner of the international community in the war against terrorism and extremism, Afghanistan is sincerely committed to fighting terror and has been taking specific measures at the national, regional and international levels to secure peace and stability in Afghanistan and in our region. The Government of Afghanistan created independent counter terrorism national authorities and departmentsÂ within the relevant ministries to detect and study the phenomena of terrorism and its supporting elements, track terrorist elements, watch over banking and financial institutions, and freeze suspected accounts in implementation of Security Council Resolution 1822 (2008). We appointed a National Focal Point to the National Counter-Terrorism Focal Points group. The Inter Ministerial Working Group (IMWG) within the Ministry of Foreign Affairs coordinates the implementation of all international conventions and protocols, as well as General Assembly and Security Council resolutions relating to international terrorism. Afghan national security forces including the Army and the Police, alongside international military forces, are taking more responsibility for combating terrorism, providing stability and protecting the Afghan people. Afghanistan has joined all international protocols and conventions against International Terrorism and is strongly committed to fulfilling its obligation under the existing international instruments and implementing the General Assembly and Security Council resolutions related to international terrorism. We have provided ourÂ national report to the secretariat of the 1540 UN SC Committee. We are working closely with the 1267 and Counter Terrorism Committee (CTC) committees and other bodies established pursuant to UN Security Council resolutions to strengthen the effectiveness of the United Nations sanctions regime against Al-Qaida and the Taliban. Afghan delegations have participated actively in anti-terrorism related International Workshops which where sponsored and financed by donor countries through UNODC. My delegation believes that regional cooperation is another essential tool in fighting terrorism. Afghanistan as a young member of SAARC is taking necessary steps to join the SAARC Regional Convention on Suppressing of Terrorism and also the Additional Protocol to this ConventionÂ , which provide a framework aimed at improving regional coordination through deepening cooperation among SAARC law enforcement agencies and relevant authorities in countering terrorism. The Government of Afghanistan has signed bilateral agreements with some countries and is actively participating in the trilateral mechanism on anti drug and counter terrorism activities. We committed during the 2005Â World Summit “to make every effort to reach an agreement on and conclude a comprehensive convention on international terrorism”. The adoption of Comprehensive Convention on International Terrorism (CCIT), mustÂ be a top priority for all of us during current session . My delegation believes that Â once this Convention enters into force, it will serve as an effective tool for combating international terrorism. To this end, my delegation appreciates the continued efforts and supports the work of the Ad Hoc Committee established by General Assembly Resolution 51/210 of 17 December 1996, under the chairmanship of Amb.PereraÂ to negotiate the outstanding issues among member states and conclude the Convention . My delegation reaffirms its support for the United Nations Global Counter Terrorism Strategy and calls for a transparent, broad and comprehensive approach to its implementation. In order to strengthen the central leading role of the UN in its UN’s efforts to combat terrorism, the coordination of the various UN agencies by the Counter-Terrorism Implementation Task Force (CTITF) is particularly valuable and important. The CTITF should be ensured a solid financial basis to help countries , which are in need , build the necessary capacities to address counter-terrorism tasks. My delegation reiterates it’s supports for a High level International Conference on counter – terrorism under the auspices of the UNÂ Â Â as well as the proposal to develop an International Code of Conduct within the framework of the UN against terrorism. Afghanistan supports the proposal of the Custodian of the Two Holy Mosques, His Highness King Abdullah Bin Abdul-Aziz Al-Saud to establish an international centre, under the auspices of the United Nations, to combat international terrorism. Terrorism is a global threat to international peace and security and we have the joint responsibility to fight this common threat together. In order to defeat this common enemy, every State must urgently take all measures to fulfill their obligations under international law and international humanitarian law, in accordance with relevant UN GA and SC resolutions, among them 1267,Â to combat terrorism, including by prosecuting and extraditing perpetrators , denying them shelters and safe havensÂ andÂ not allowing the use of their territories for planning, training ,financing and attacks by terrorist organizations and extremist groups against other States. In closing, my delegation deeply believes, Mr. Chairman, that as long as terrorist ideological centers, training facilities, infrastructure, sanctuaries and financial resources remains protected, my country Afghanistan, ourÂ region and the world will remain targets. Therefore, this topic needs our urgent attention and our joint and sincere efforts and cooperation.